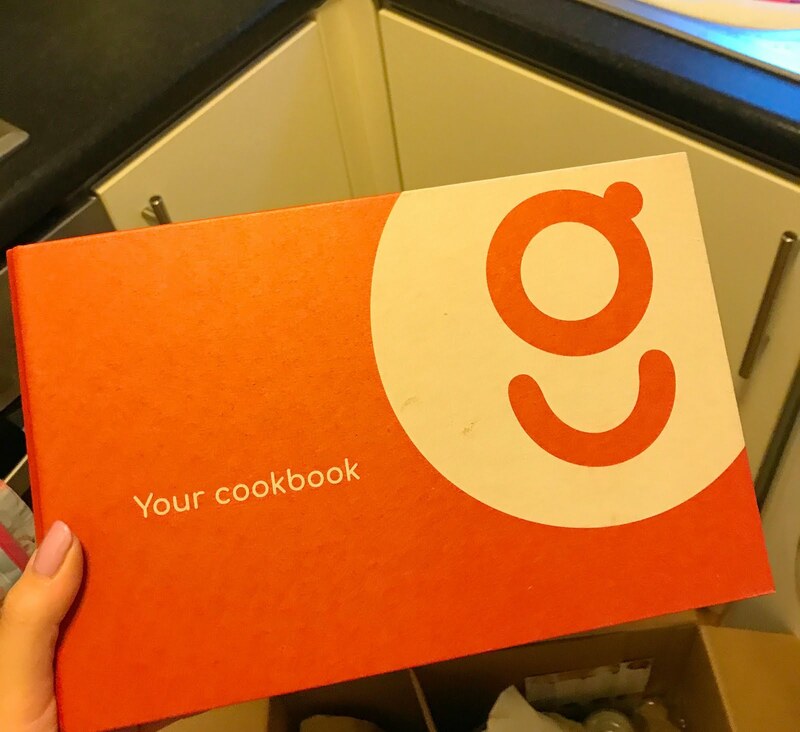 Gousto is a weekly food box that you can have delivered 7 days a week with 2, 3 or 4 recipes for either 2 or 4 people. 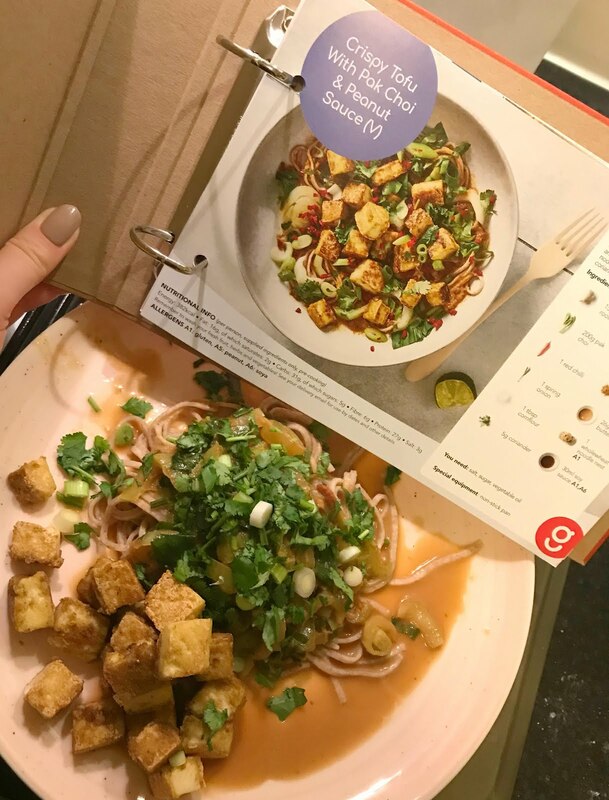 You pick from 30 recipes online and then they send you all the ingredients you need, as well as the recipe cards with step-by-step instructions. 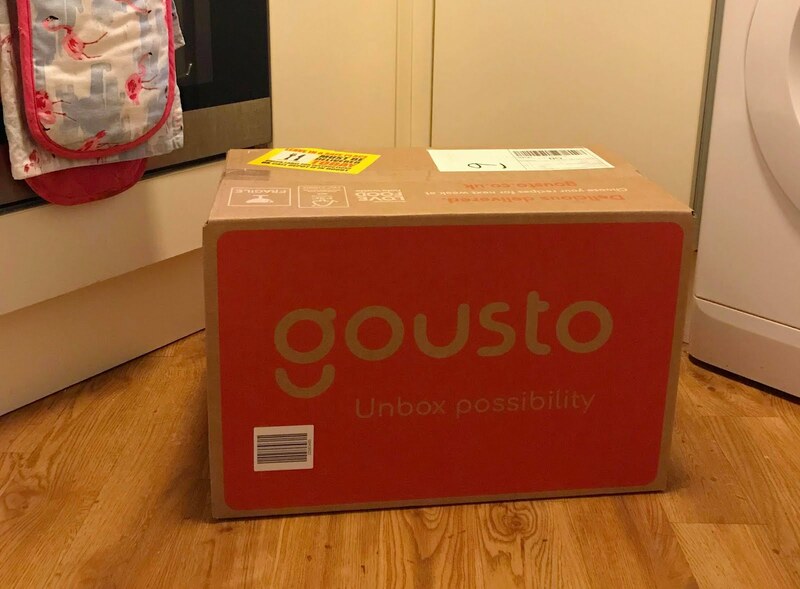 I was originally referred to Gousto by my best friend after her family had tried it and she said how good it was, by using a referral code we got 60% off our first box and 30% off subsequent boxes for the first month! 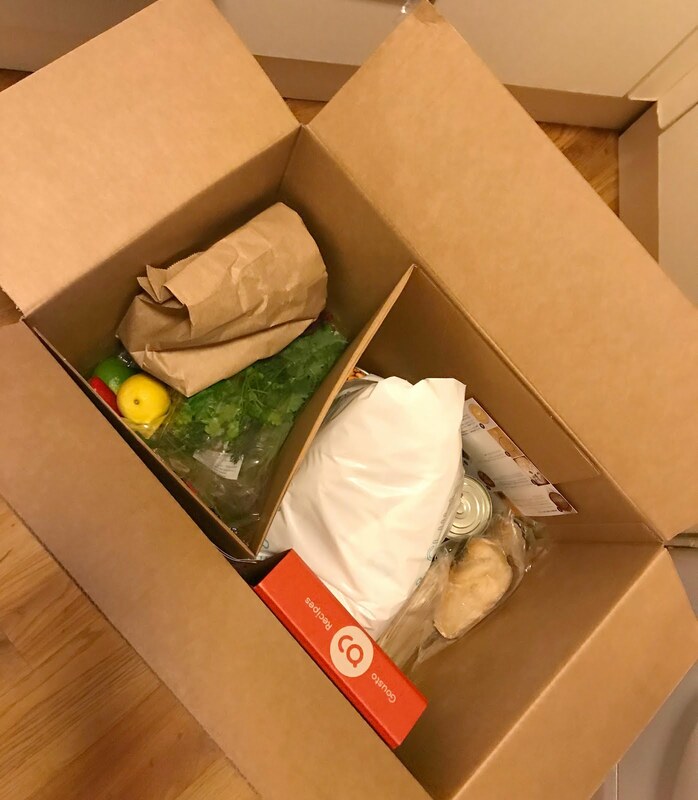 Your Gousto box arrives by DPD on your nominated day with everything you need for your chosen recipes. The little brown bag is full of all the herbs, sauces and seeds you need in the exact amount for each recipe. You then have all the ingredients that need to go in the fridge and pantry. 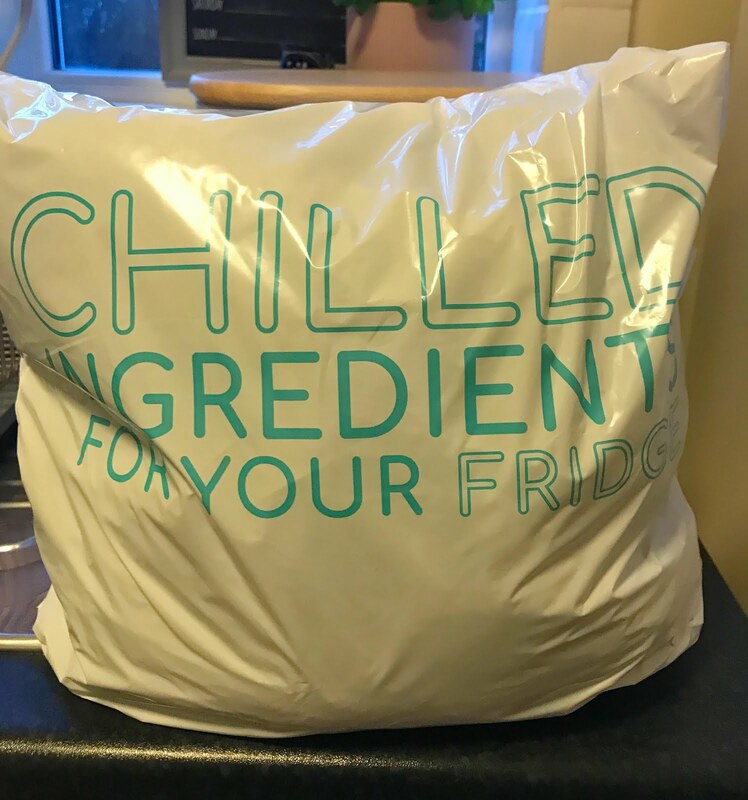 All the chilled ingredients are wrapped in this cool bag which will stay cool for 24 hours, so if your box is left outside whilst you are at work, your food is absolutely fine! The packaging is all completely recyclable which Gousto are very conscious about. In our first box, we had a huge leaflet explaining how to recycle each bit which I think is a great way to make people aware that all the packaging does not have a negative effect on the environment. In our First and Second box, we had a little free gift included which was a lovely surprise. In the Second one was this cookbook to store all your recipes in. So now for the pictures of the actual recipes themselves! When I had originally thought about doing a blog post, I had planned to take a picture of each recipe with all the ingredients laid out beautifully and then another of the final dish, but in reality, I got home from work and started making the tea as normal and completely forgot to take pictures until it was all done! But hey, you get the idea! This was a recipe I had chosen and I wasn't sure if it was going to be filling enough, but it turned out to be SO tasty and we were both so full! I did add the pitta bread on the side, but it really didn't need it! 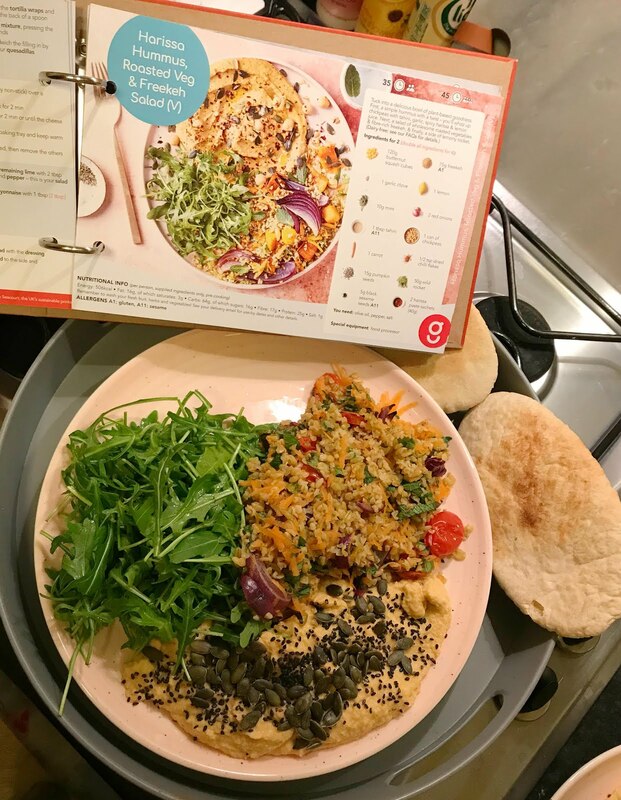 Gousto has a range of 10-minute meals available and I can honestly say it did actually take 10 minutes! I have often tried "15 or 10-minute meals" from recipe books and unless you have all your ingredients already chopped and measured out, it takes a lot longer! This was so delicious even though it was so simple, and again, really filled us up. I was doing well with the finished dish resembling the picture until this one, haha! I love all the Tofu recipes that Gousto has on offer, we usually have one a week. This recipe was another quick one and it tasted really good! Overall, we loved every single one of the recipes we had chosen and I really enjoyed making them. I usually plan all our meals each week which can take me a long time, so it has been so nice to be able to just click 4 recipes we like the sound of and then have it delivered straight to the house! 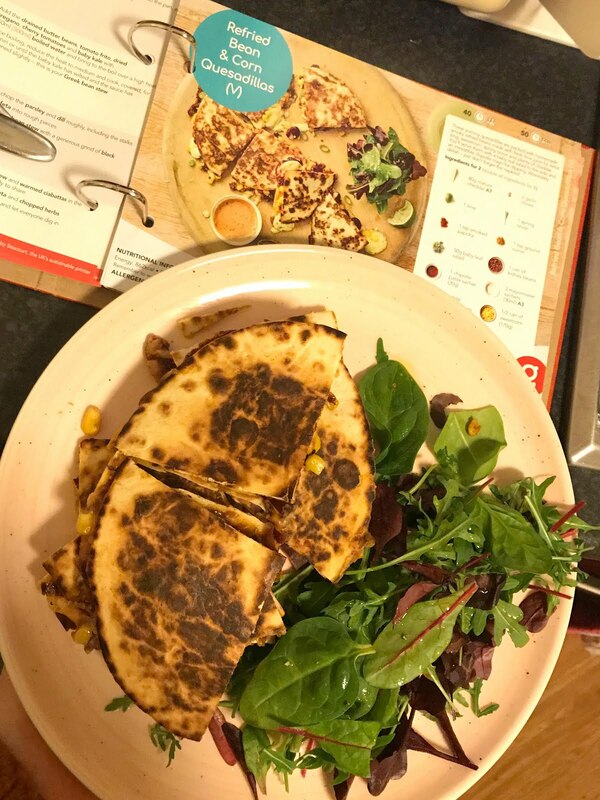 You can probably tell from the recipes but I am Vegetarian and Jack happily eats Vegetarian in the evenings, one of the main reasons I chose Gousto over other food boxes available is the great choice of Vegetarian options each week. Gousto also have a range of recipes in collaboration with Joe Wicks, Healthier Options and also Guten Free too! 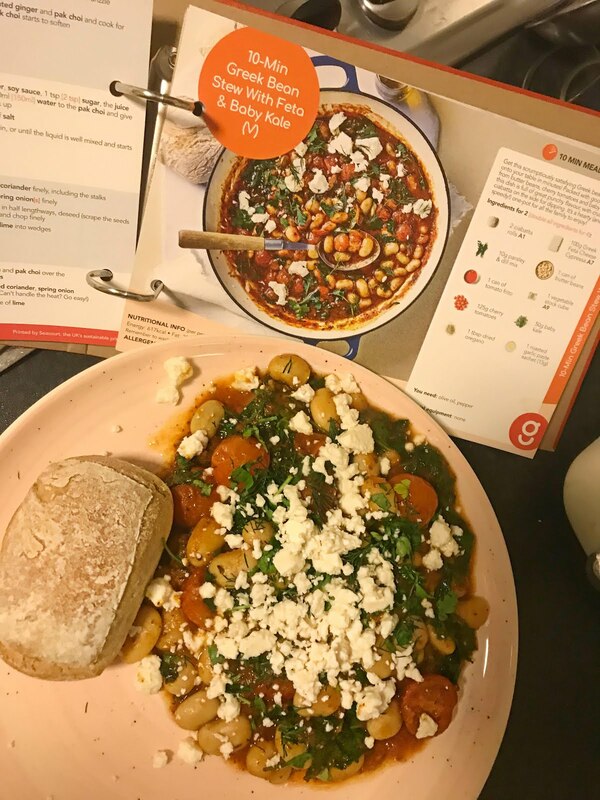 We have continued with our Gousto box for the past three weeks as I really do think it is good value for money, our first box was just £14 for 4 meals! So even if you just try it for a week, it costs a huge amount less than a weekly food shop. Subsequent weeks have been £24.50 which is still a lot cheaper than what we would usually spend at the supermarket! 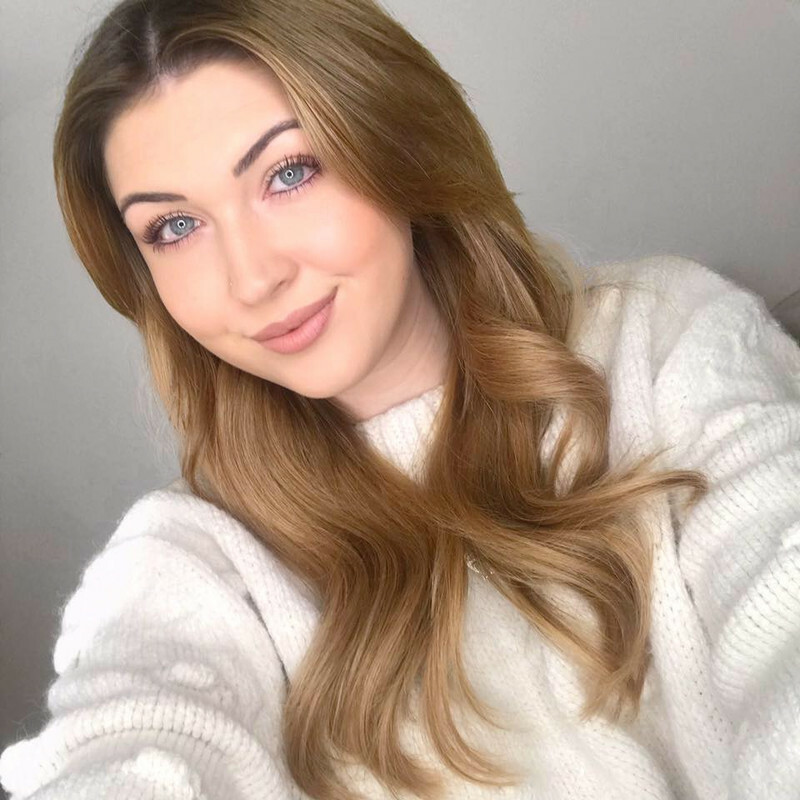 I really hope this blog post has been helpful, especially to anyone who has heard of Gousto but wasn't sure about it, or anyone who didn't know it existed! If you would like to sign up, you can get 60% off your first box and 30% off for the rest of the month with my referral link - click here.